At best, the Los Angeles Lakers were widely projected to see a slight improvement over last year’s 26-56 mark and fifth consecutive season in which they missed the playoffs. The Lakers showed early signs of promise this season but have since faded from the early playoff picture. Despite not being the perennial championship contender they once were, particularly when Kobe Bryant and Shaquille O’Neal led the way, the Lakers figured to be a draw because of their young talent. Included in that was the addition of Lonzo Ball, selected No. 2 overall in the 2017 Draft. Along with Ball came his outspoken father, LaVar, who has garnered plenty of media attention in his own right. As for matters on the court, there was intrigue in Lonzo, Jordan Clarkson, Brandon Ingram and Julius Randle. 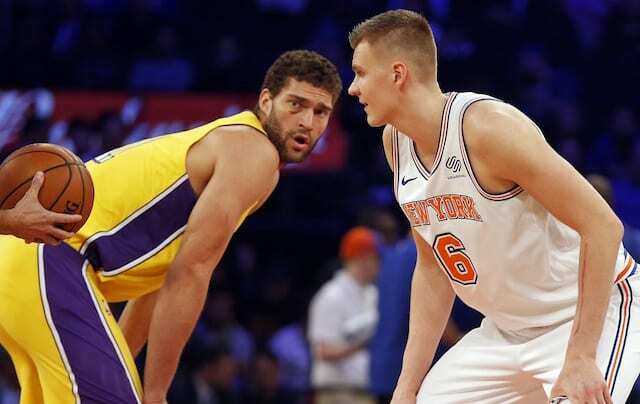 On Tuesday night, the quartet took center stage as the Lakers and New York Knicks met for the first time this season. While the Knicks are still working on their rebuild, they’ve been re-energized by Kristaps Porzingis. Ratings news: last night's @Knicks @Lakers game delivered a 1.5 metered market rating, up 36 percent from last year's comparable game. 3.8 rating in New York market is best for #Knicks game on ESPN since April 2016. The Lakers were previously involved in a similar situation when they made their lone trip to the TD Garden for a matchup with the Boston Celtics. 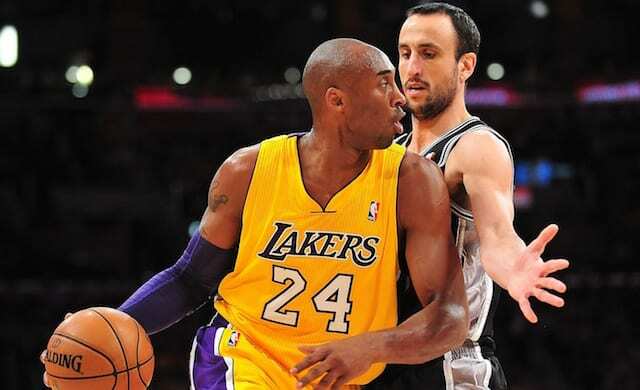 It drew 2,698,000 viewers, which was good for the second-most watched NBA game on ESPN this season at the time. The Lakers were scheduled for 35 nationally televised games, which trailed only the Golden State Warriors (43), Houston Rockets (40), Cleveland Cavaliers (39) and Oklahoma City Thunder (37).